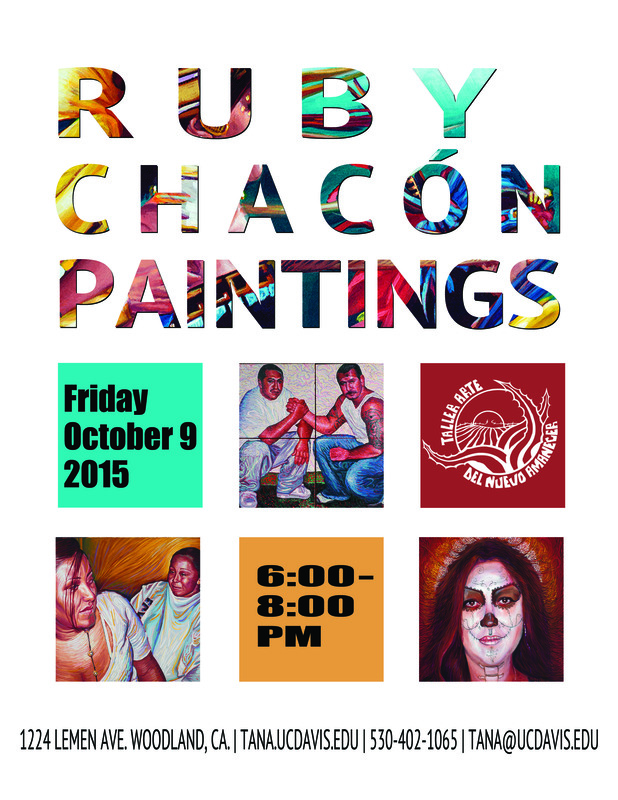 Join TANA in kicking off the fall quarter with a celebration of Ruby Chacón’s solo exhibition. Chacón’s beautiful large-scale paintings depicting friends, family, community members, and cultural resilience have filled TANA’s space with vibrant color. A native of Utah, Chacón now calls Sacramento home. She has participated in numerous public arts projects and was cofounder of the Mestizo Institute of Culture and Arts (MICA) located in Salt Lake City. Please see TANA’s interview with Chacón to learn more about her background and the inspiration behind her moving images. As always, our opening reception will feature delicious food, great music, and community coming together to share in culture and in support of its local artists. We look forward to seeing you there! Ruby I love your paintings & can’t wait to see the show. Hope that you are well!